The lazy days of summer may be over, and with it the summer real estate market, but members of The Holmquist Team are seeing every sign pointing to an active housing market nationally and right in our backyard, with houses selling quickly. On the national scene, The Wall Street Journal’s Marketwatch Chief Economist writes, “As the U.S. economy rounds the Labor Day turn, it appears that the long-depressed housing market is climbing out of the basement.” He notes that, “For the first time in a number of years, the supply of both new and used homes available for sale has dropped below demand.” While all real estate is local, that’s a trend we definitely see in our area. 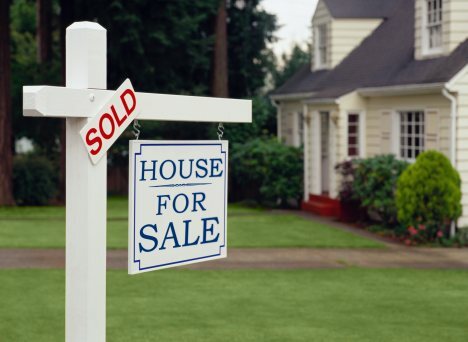 Speaking of our area, Jeffrey Otteau, an appraiser who has earned the reputation as one of the foremost experts on the New Jersey housing market, points out that July saw a 24 percent increase in home purchase contracts compared with a year ago. Equally important, inventory is down 17 percent. “The combined effects of the decline in unsold inventory with the increase in purchase demand are rebalancing the dynamics of the housing market toward price stability in 2012,” writes Otteau in his latest studies. Those of dealing with homes for sale in the Chester/Long Valley/Mount Olive area are actually seeing many of the same trends. Fifty-two homes were sold in those three towns during July 2012, compared to 40 a year ago. We’re seeing bidding contests for well-staged, properly priced homes in our area. As of July 31, there were 527 homes on the market in the four communities. A year ago, there were 607 homes for sale in those towns. What does all this mean for you? Aside from the math and economics, it means if you’ve been waiting to buy or sell a home, it’s time to make your move. With interest rates rising, and the market stabilizing, demand up and inventory down, there is nothing to be gained by more waiting. If you’re selling, talk to us about how your home fits into the current market. Homes that are well-staged and properly priced and marketed are selling, sometimes very quickly. Your Realtor will help you make decisions about pricing, staging, marketing and getting the best deal. If you’re buying, you should speak with The Holmquist Team. Desirable homes are moving quickly and while prices are stabilizing, interest rates are not. They’re starting back up. If you see a home you like, you need to move carefully, but quickly, to make it yours. And if you’d like to sell, but you owe too much on your home, The Holmquist Team is well-versed and experienced in short sales. Banks are moving more quickly now, and a good agent – teamed with a specialized attorney – can help you get out from under an oppressive mortgage. It really is a good time to take another look at the housing market. People who move soon can be in a new home by the time the winter holidays arrive. One thing is clear, though: While temperatures are cooling off, it looks like the housing market is just warming up. Call The Holmquist Team today.